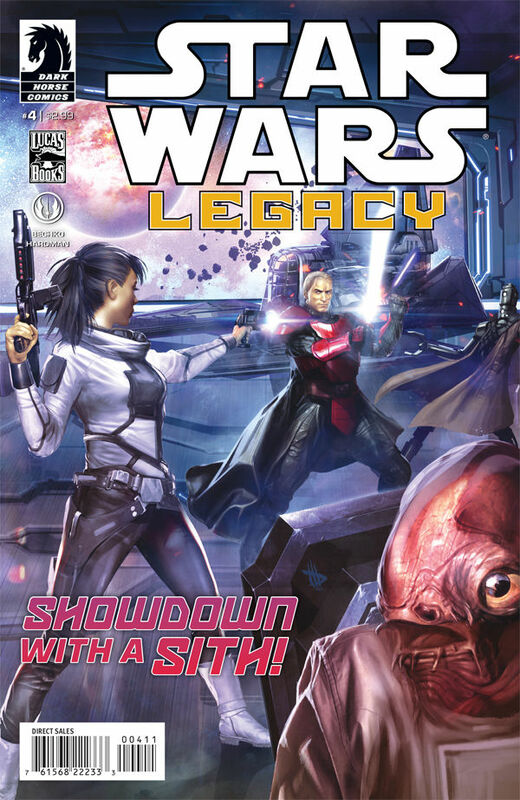 The second installment of the Legacy series has established a different kind of tone from its predecessor championed by the Skywalker clan. With a member of the Solo family leading the way, things are sure to be anything but dull. A Sith warrior, who is impersonating an Imperial Knight, rushes to get a vital communication array online. Meanwhile, Ania Solo and Saku have been taken prisoner and look for a means of escape. Corinna Bechko and Gabriel Hardman are great at giving each character their own voice, no matter their importance. The two main characters work off each other very well. Ania Solo is brash, daring, and unapologetic; kind of like her grandfather. This proves to be detrimental when she ignores the orders of Imperial Knight, Jao and tries to take out the Sith Lord. Her friend, Sauk, a Mon Calamari, is essentially the cowardly lion who always thinks they are doomed when trouble is afoot and does the whole “I told you this was a bad idea” shtick during he and Ania’s incarceration. The artwork is at its best during the action sequences as Lightsaber duels and the use of force powers really show off their ferocity of their application. Four issues in and Legacy II has given comic book fans something to be excited for and I can’t wait to see what happens next.